Review by Dr Rajatsubhra Mukhopadhyay MD. Buy Diabetes Capsules Online @ Cheap Rates from HealthBuffet - A-BGN anti diabetic capsules is a polyherbal Ayurvedic combination which comprises of Daruhridra, Vijaysar, Giloy, Ashwagandha, Methika, Gudmar, Neem, and Karela. 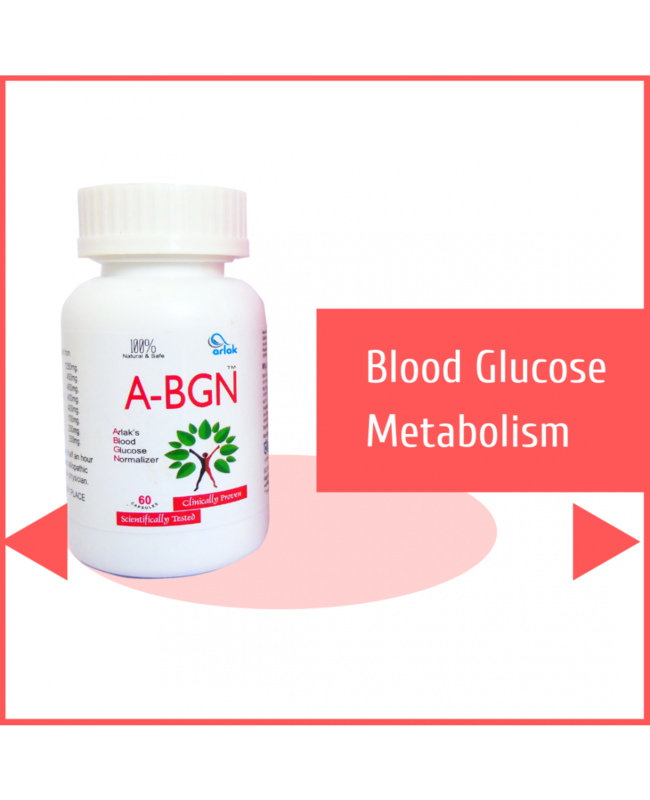 ARLAK`S BLOOD GLUCOSE NORMALIZER capsules (A-BGN) act by stimulating beta cells and increasing insulin production. They also decrease peripheral insulin resistance and delay glucose absorption from intestines. It is a potential receptor inhibitor having a cardioprotective role. It regulates glucose homeostasis by decreasing blood glucose synthesis and better utilization of extra glucose. It is a blood glucose regulator. It regulates glucose and lipid metabolism. It converts proinsulin to insulin. It provides improves glucose tolerance. It repairs and revives the beta cells of the pancreas. It reduces health complication due to diabetes. It controls excessive thirst and urination. It protects heart and tones functions of the pancreas. It has significant antioxidant effect. 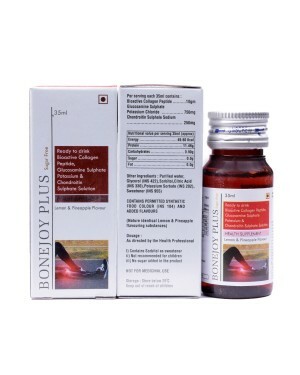 It is herbal medicine based on Ayurvedic principles. The extracts of root, as well as the stem bark hypoglycemic as well as anti-oxidant effects. As a result, it could be of great use in the treatment of Diabetes. It checks Bad Cholesterol and purifies Blood. A significant reduction of serum glucose level has been observed. It is very useful herb in treating diabetes and urinary tract infections. Vijaysar is an important big tree whose bark is very useful in a disease like diabetes. Its bark is known as "The miracle cure for diabetes". This ingredient helps in reducing the absorption of glucose from the gastrointestinal tract and improve the levels of insulin and pro-insulin. It is effective in beta cell regeneration. It shows hypocholesterolemic effect. As it maintain the blood sugar level properly. Giloy acts as a hypoglycemic agent. It can lower the levels of blood pressure and lipids. Also, this ingredient present in Arlak blood glucose capsules helps in curing type 2 diabetes. Diabetic patients can take Giloy in order to reduce high levels of blood sugar. Giloy possesses anti-inflammatory, anti-cancer, antipyretic, antioxidant and immunomodulatory properties. This wonderful herb has been used in Ayurvedic rasayanas. This has a long history of food and medicine. The fruit and seeds of this plant contain most active blood sugar-lowering components. Karela is the only ingredient who has active principle called charantin, which is sometimes called plant insulin, as it closely resembles insulin from cows. (Bovine insulin). Ashwagandha is a unique herb with antistress, adaptogenic action that leads to better physical fitness. It may even be able to reduce the risks of heart disease associated with diabetes. It contains an amino acid called 4-hydroxyisoleucine, which appears to increase the body's production of insulin when blood sugar levels are high. Higher insulin production may decrease the amounts of sugar that stay in the blood for many individuals. When used for an extended time period, Gudmar reduces blood sugar levels. The herb controls and regulates weight, promotes healthy blood lipid levels, controls sugar craving and curbs sweet tooth. Gudmar is useful in hepatosplenomegaly, dyspepsia, constipation, jaundice, helminthiasis, cardiopathy and amenorrhoea. Neem leaf extracts and seeds are used as an active ingredient as an effective cure for diabetes. Neem improve the blood circulation by dilating the blood vessels and also helpful in reducing the need for hypoglycaemic drugs. It reduces the insulin requirement. 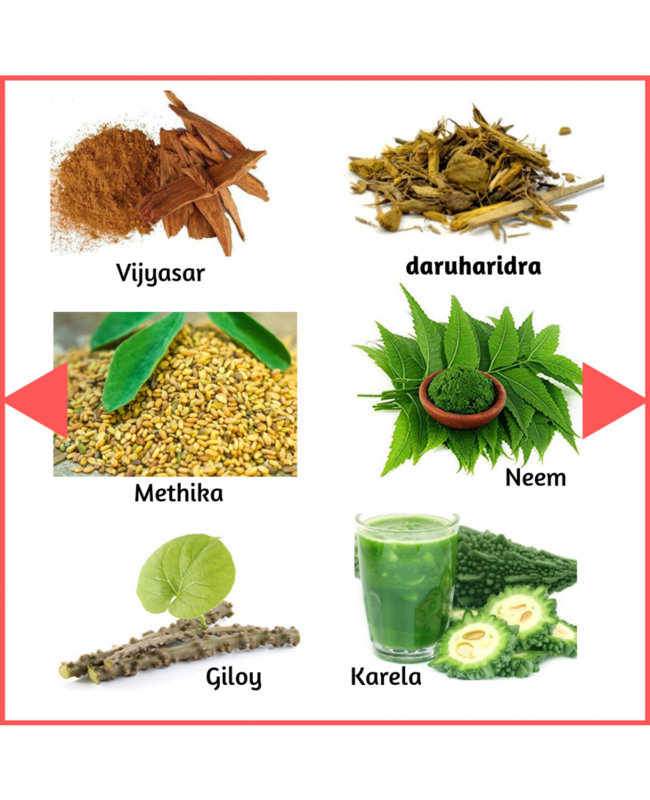 Neem tablets help to lower the blood glucose levels. Neem is more effective in curing the disease but also have no side effects. There are no synthetic materials used in the production of the drugs. Neem is considered as one of the safest herbal medicine for diabetic patients. 2 Capsules twice a day, half an hour before meals along with prescribed allopathic OHC' s/insulin. 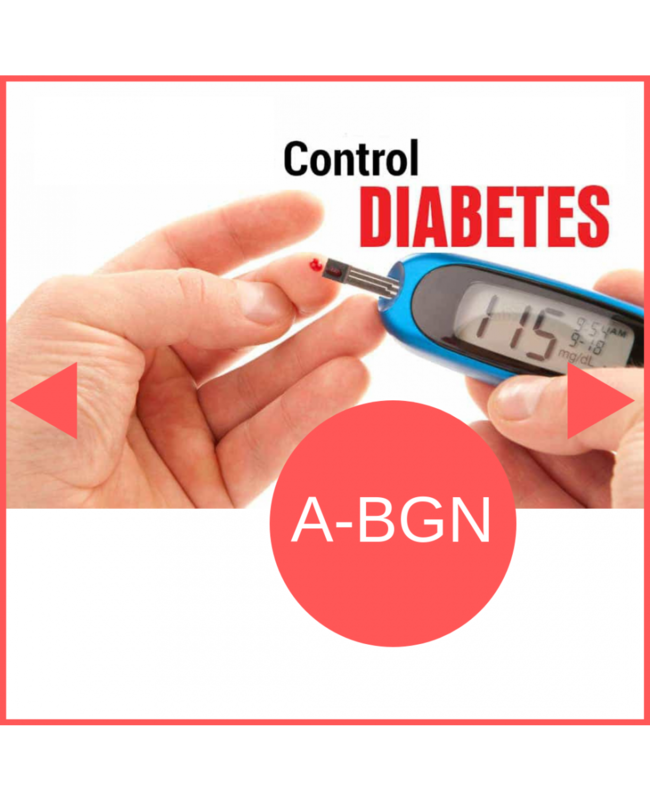 How A BGN Anti Diabetic Tablets Gonna Help You? Patients taking allopathic medicines should start with 1 capsule twice daily. One should keep a regular monitor on its blood glucose level and once it begins to decrease you can reduce the dosage of allopathic medicines and increase the dosage of A-BGN to 2 capsules twice daily under supervision of physician. You can start one capsule twice a day with your current dosage of insulin units. Keep a regular check on your blood glucose level and once you observe reduction in your glucose level, gradually decrease insulin units (2 to 4 units at a time) and increase the dosage of A-BGN to 2 capsules twice daily under supervision of physician. Patients taking insulin and allopathic anti-diabetic medicines require 1 capsule twice daily of A-BGN. 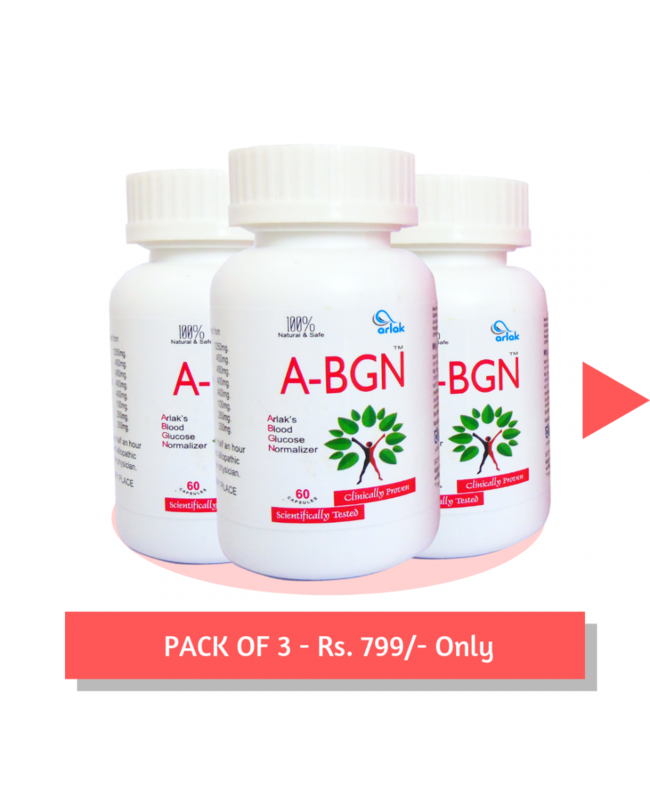 If your blood glucose level is under control now you can reduce or stop allopathic medicines, but continue insulin and increase the dosage of A-BGN to 2 capsules twice daily. When your blood glucose level and HbA1C decline and show good control, you can reduce insulin units (2 to 4 units at a time) under supervision of physician. Q.) Is it compulsory that I have to take two capsules twice daily? ANS: The dosage can be decreased or increased according to the individual requirement as per doctor’s advice. However, it is not compulsory. Q.) Is it compulsory to take it 30 minutes before the meal? ANS: For best possible results you should take it 30 minutes before a meal, which helps to stimulate the beta cells in the pancreas to release more insulin. The insulin secreted is not get blocked and used in the body because insulin is required immediately after food. However, it is not compulsory it can also be taken with food or after food. It has slow action, but the long-lasting effect, so it dosage time does not have any major significance. It will provide almost similar results. Q.) Should I reduce the dose once the blood glucose level gets normal? ANS: You should not reduce its dosage immediately and yourself. It should be continued in its recommended dosage for at least 3 months. Though it does not causes hypoglycemia when taken alone or in a combination of other ayurvedic or herbal medicines.